The wind was clearly dying for the second race and after one false start the fleet got away in around 5 knots. 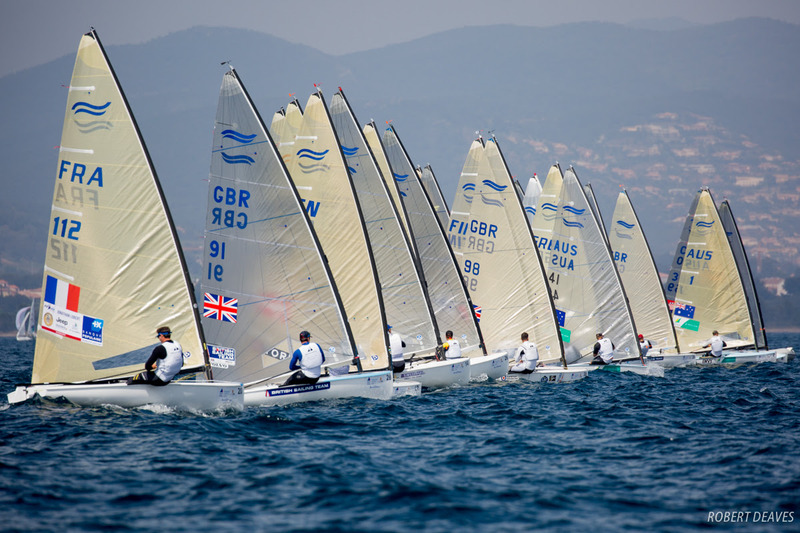 Britain’s Ben Cornish led at the top from Croatia’s Josip Olujic and Lobert. Cornish just held the lead round the gate with Olujic rounding the opposite gate almost level. Lobert picked up a yellow flag for kinetics on the first downwind “I was maybe pushing too much”, which put him back slightly. But on the final, shortened, upwind, Zarif slipped through them all to lead down to the finish and take the win from Cornish and Lobert. Zarif, “In the first race there was a little bit more pressure on the left. I tried to start in the middle, but unfortunately I had to tack to the right. I turned the top mark about fifteenth and then started to recover downwind.” He crossed the line in fifth. Overall leader, and runner-up last year, Lobert was quite content with his day’s work. “It was a light wind day and quite tricky. I managed a second and a third, so am quite happy with that. In the first race I managed a good start and then I could sail in the free spots, so that was good and then I was just following the shifts." Racing for the Finn fleet is scheduled to continue at 11.00 on Wednesday. The opening series concludes on Saturday ahead of Sunday’s medal race.